The 150 MW Mesgi’g Ugju’s’n wind farm, which means “Big Wind” in Mi’gmaq, is located on public lands in the Avignon Regional County Municipality, in the Gaspé Peninsula, Quebec. Construction began in May 2015 and was completed in December 2016. The average annual production of the wind farm is estimated to reach 562,500 MWh. All of the electricity produced by the facility is covered by a 20-year fixed-price power purchase agreement with Hydro-Québec. For more details about the project, please visit www.muwindfarm.com. The project developer is Mesgi’g Ugju’s’n (MU) Wind Farm, L.P., a 50-50 partnership between the three Mi’gmaq communities in Quebec (Gesgapegiag, Gespeg and Listuguj) and Innergex, which was responsible for the management of the construction and will ensure the operation of the wind farm. In May 2013, the Government of Quebec allocated 150 MW of wind power to the Mi’gmaq communities, marking a significant step forward in their energy development. 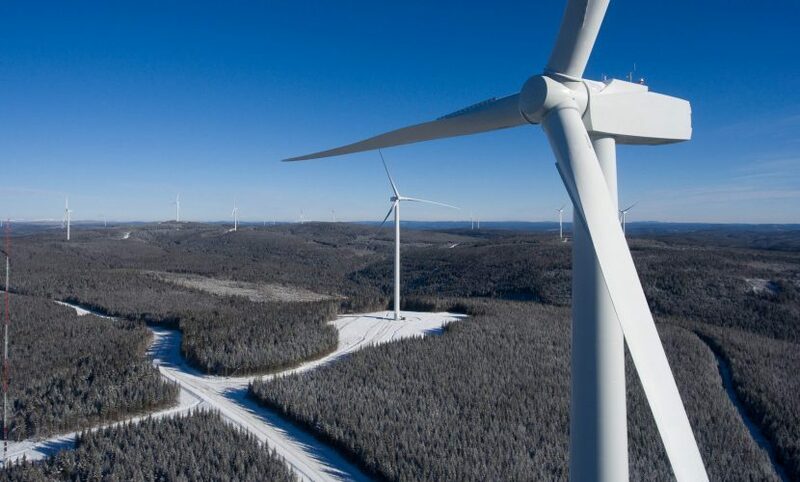 The project created many jobs for both Mi’gmaq and local workers, and brought additional business to the wind farm components manufacturers established in the Gaspé Peninsula. More than 300 workers engaged in the development and construction of the wind farm, 110 of them being from Mi’gmaq communities. The project will generate profits of approximately $200 million over a 20-year period for the Mi’gmaq communities. The project partners have agreed that Innergex will make an annual indexed contribution of $675,000 to the Avignon Regional County Municipality, and it will set up an indexed social development fund of $75,000 to be paid annually.